AKG by Tiesto headphones launched by world's richest DJ | What Hi-Fi? The most famous DJ in the world has teamed-up with AKG to launch a range of headphones called AKG by Tiesto. Tiesto, heralded as "the Greatest DJ of All Time" by leading dance music magazine Mixmag, has worked with AKG to create three models of headphones, which claim to marry performance and style. The Tiesto headphone range starts with the £99 K67 Tiesto, which are followed by the K167 Tiesto, £199, and then led by the flagship K267 Tiesto, £329. AKG claims the headphones aren't just for dance music lovers, promising the K67 Tiesto (high-performance), K167 Tiesto (professional), and K267 Tiesto (reference) will appeal to a broad range of users. The K67 Tiesto entry-level headphones are compact, on-ear, closed-back headphones with 40mm drivers and a '3D-Axis' folding mechanism that enables the headphones to be laid flat for taking on the move. Next up is the K167 Tiesto headphones, which have an over-ear, closed-back design and promises a robust build. Leading the line are the flagship K267 Tiesto headphones, which are over-ear and closed-back, and have an adjustable bass boost. 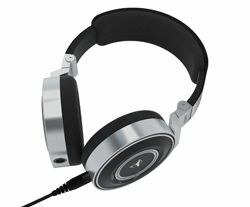 With an anodized aluminium finish, the AKG by Tiesto K267 top-of-the-range headphones also has a DualPlug system, which allows you to connect the headphone cable to either the left or right ear. “AKG is rooted in the passion for music, at the same time as having a unique eye for design and style,” said the man himself, Tiesto. The K67 Tiesto and K167 Tiesto headphones will go on sale in the UK during September, while the K267 Tiesto are due in November. Recommended prices for the K67 Tiesto, K167 Tiesto, and K267 Tiesto are £99, £199, and £329 respectively.